Facebook founder, Mark Zuckerberg is launching Oculus, Facebook’s virtual reality experience. Well, I can do Mark one better, ‘real reality’. For free, and without traveling outside of your own town, you can have a ‘real reality’ experience, unexpected turns and encounters, shared with other people, and involving ALL your senses – sight, sound, smell, feelings, and sometimes even tastes! Beat that Mark Zuckerberg! 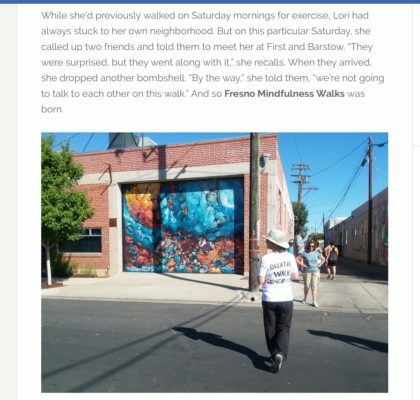 Fresno Mindfulness Walkers explore a different neighborhood every Saturday morning, intentionally focusing on three simple things: breathing, walking, and observing. 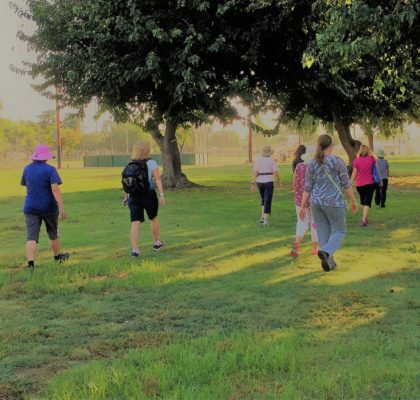 Walkers do not talk to each other during the walk, to respect that each walker is having their own ‘real reality’ experience — thoughts, feelings, smells, sights, sounds…. 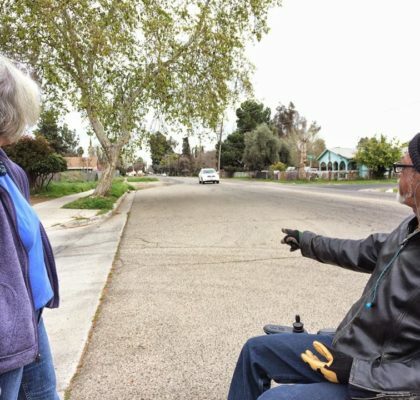 Walkers speak and interact with ‘real’ people we meet along the way. Walkers never know where an encounter may lead. 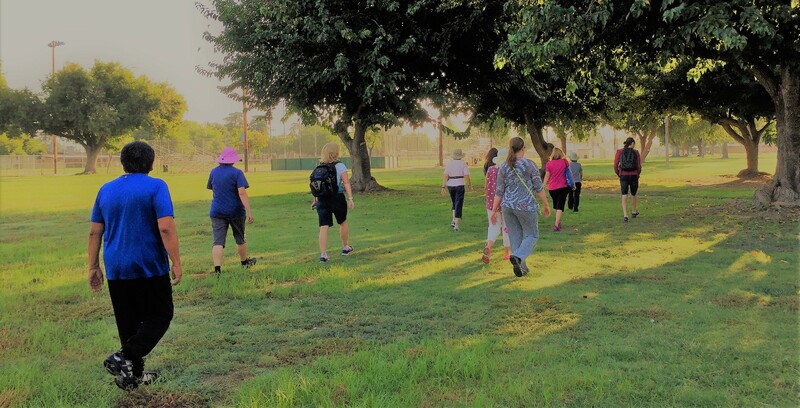 For example, on this walk from Victoria West Park in West Fresno, Walkers were invited in to stroll the lovely ground of the Cambodian Buddhist Society, and we were offered homemade treats and cold water. When walkers finish the ‘real reality’ walk experience, we gather for a few minutes to discuss the experience. Walkers share what they discovered, and the whole group benefits from the perspectives of each other. 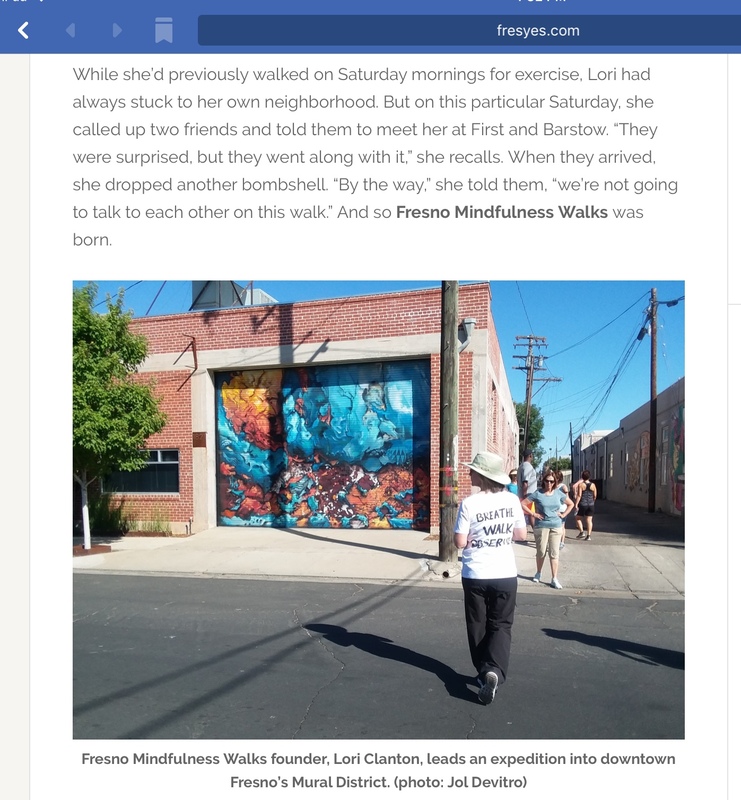 Without adding a new App or spending a dime, you can join Fresno Mindfulness Walkers for a ‘real reality’ experience that leaves your mind refreshed, your body stronger from the exercise, and your understanding of Fresno more complete.